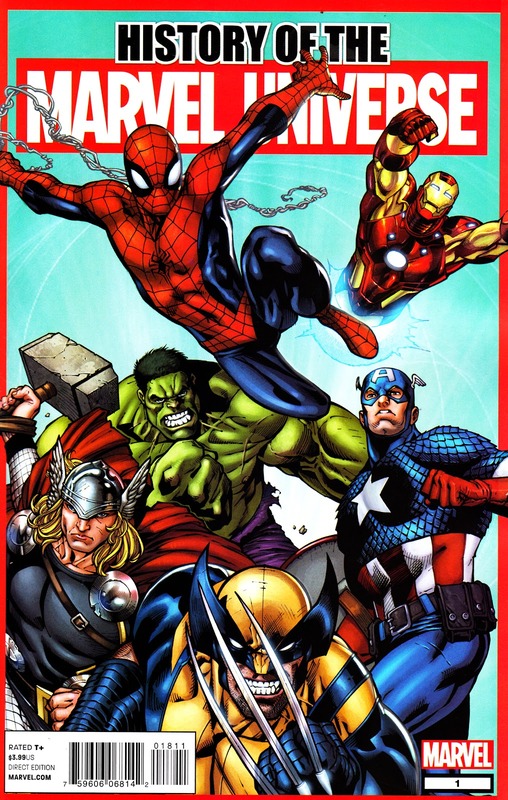 The HISTORY OF THE MARVEL UNIVERSE (billed inside as "Marvel Universe Saga", suggesting a name-change somewhere along-the-line) was a text'n'old-art one-shot published by the New York operation in 2011. 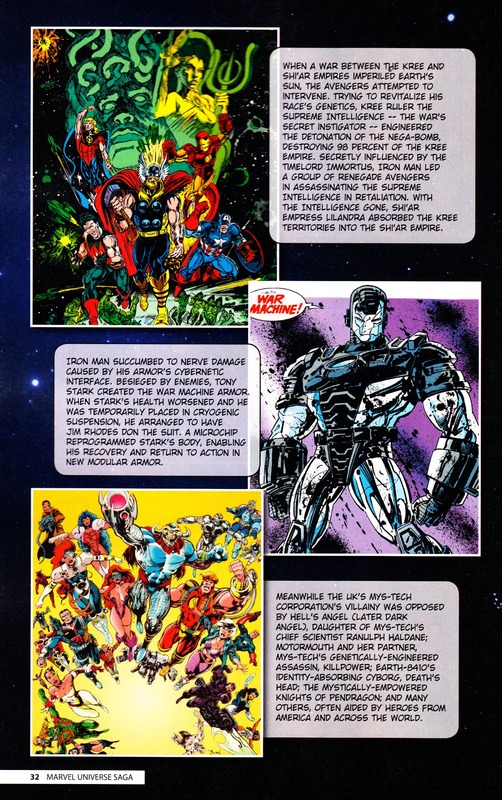 It's notable for including one panel (above) devoted to the MARVEL UK GENESIS '92 sub-universe which, usually, Marvel tends to completely ignore. The artwork originally adorned the one-shot freebie BODYCOUNT (see a previous post).